Dr Ross Muiry (affectionately know as Dr Ross) is a volunteer obstetrician who also looks after sick and premature babies at Embangweni Mission Hospital in Northern Malawi. When John Challis visited him this summer Dr Ross told him of the problem of the high neo-natal death rate (death in the first days of the baby’s life) when Dr Ross arrived in Embangweni in September 2011. On one morning he had arrived to find that three premature babies had died overnight due to a power failure which had caused the incubators to fail. The death rate has greatly improved since Dr Ross has taken over the care of the sick and premature babies but he explained to John the huge difference that having a dedicated special baby unit would make to the lives of these fragile babies and their mothers. 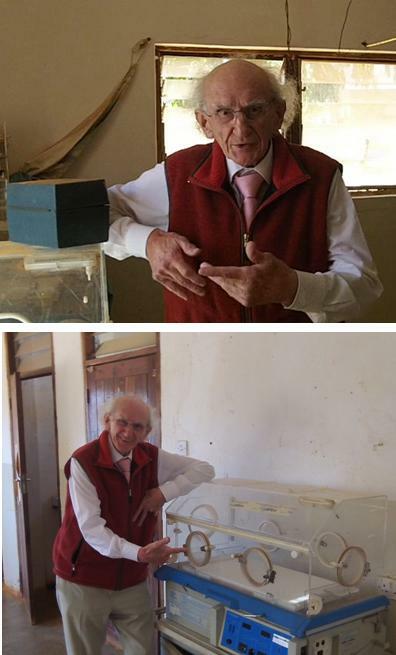 Some materials and equipment are already on their way to Embangweni in the same container as the “Robert Laws” marine ambulance and Dr Ross’s home church has begun to raise funds for the project.